Fortress Of Freedom Board :: View topic - FOF Signs Retail Contract With Sam The Record Man! FOF Signs Retail Contract With Sam The Record Man! 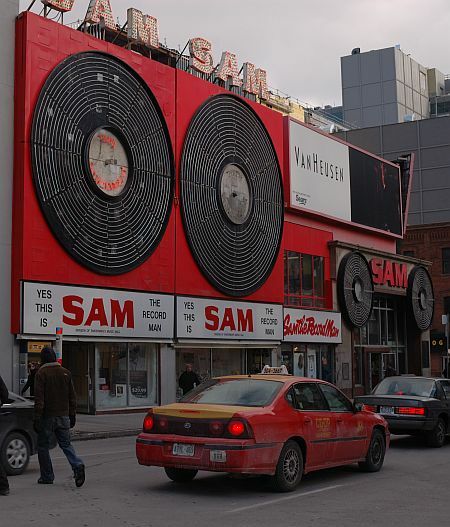 Posted: Thu Mar 08, 2007 1:06 am Post subject: FOF Signs Retail Contract With Sam The Record Man! 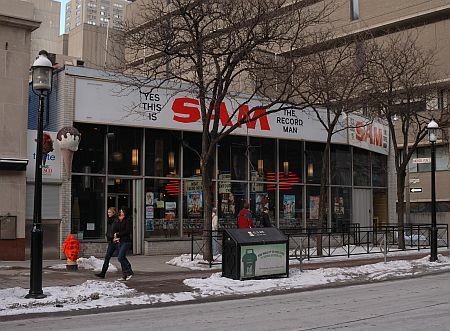 The Fortress Of Freedom Corporation is excited to announce that it has signed a retail contract with Sam The Record Man, the legendary record store landmark in Toronto boasting over 300,000 titles. Started by the Sniderman family back in 1929 and developed by Sam Sniderman throughout most of the of it's formative years, Sam The Record Man has kept pace with the changing face of music. On Yonge Street just north of Dundas Street. Fortress Of Freedom is proud to have it's CDs sold through this first rate establishment and hope that this is the start of a profitable, long lasting relationship with Sam The Record Man! (taken from a demolished theatre down the street).